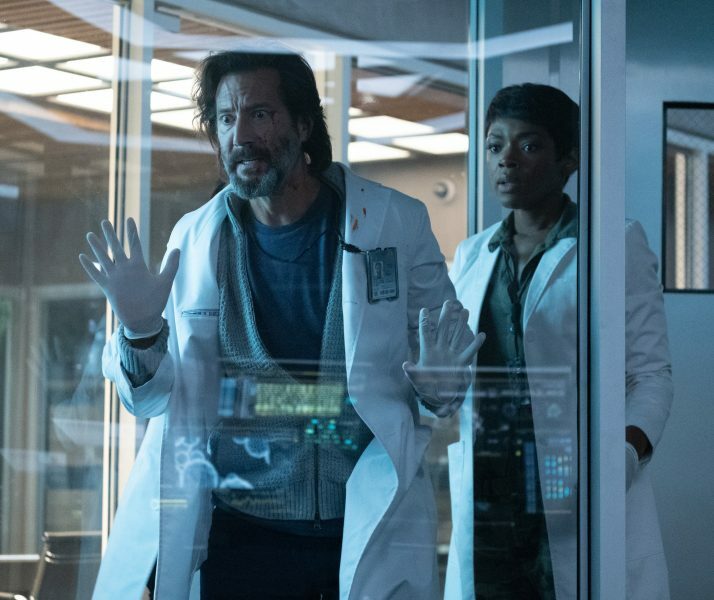 "Frankenstein Meets Dracula in Ambitious Show"
There’s a moment at the end of the pilot of Fox’s new thriller, The Passage, that perfectly sums up what works in the show: Despite already abdicating his duty as a federal agent and saving his “assignment” by getting into a shootout with government agents that likely left several dead, the protagonist asks the child to buckle her seat belt. In so many shows, that moment might ring false or even be unintentionally comical. But here, you actually believe he cares. Loosely based on a series of bestselling novels, The Passage is a TV show set in an America where an avian flu has mutated to an airborne pandemic with no current antidote or cure. While it’s still across the ocean, scientists believe within three to six months it could be in the United States. Meanwhile, for the past decade, government agents have been working on Project Noah, a scientific injection given to humans that could prevent them from catching any disease. The only problem is the side-effect: it turns them into vampire-like creatures that require blood. The central plotline then becomes clear: Can scientists “fix” the new cure so it can stop the avian flu without turning people into vampires before the pandemic hits America? And at what cost? Science gone too far. Who are the monsters: the scientists or the vampire-like creatures themselves? If it sounds familiar, it does mimic literary tropes. The ethical science of Mary Shelley’s Frankenstein meets the creatures of the night as conceived by Bram Stoker’s Dracula. And as a viewer, it’s quite frankly, fun. It’s get a bowl of popcorn and turn off the lights type-fun we rarely see on network TV today because it’s difficult to do spooky and and bloody without crossing the line for what type of violence is allowed. This show stays inside the line. Barely. The show is both ambitious and frustrating because it represents the opposite of most Fox shows of the past decade--where plot and suspense were hampered by inadequate acting. Here the acting has several surprisingly good performances, but the show is often hampered by writers not quite knowing how to piece together the narrative for the viewer. Critics who reviewed the show too early likely missed out on the developing layers of complexity. The show already has morphed from a disease-is-coming show to a vampire-in-the-basement show to a show about telepathy to a show about the potential to use the science of vampires as weapons (all while the vampires are secretly contemplating an escape amongst themselves). Flashbacks of the agents, scientists, and death-row inmates (now vampires) show us their lives before any of this happened, giving us complex characters that were all flawed but very human. But, all too frequently, there are confusing lapses where the plot is indiscernible and the storyline is marching forward at a frantic pace. Meanwhile, too much of the action is still confined to the government facility, and we want something new to happen: either the heroes or villains or somebody to just get out already. 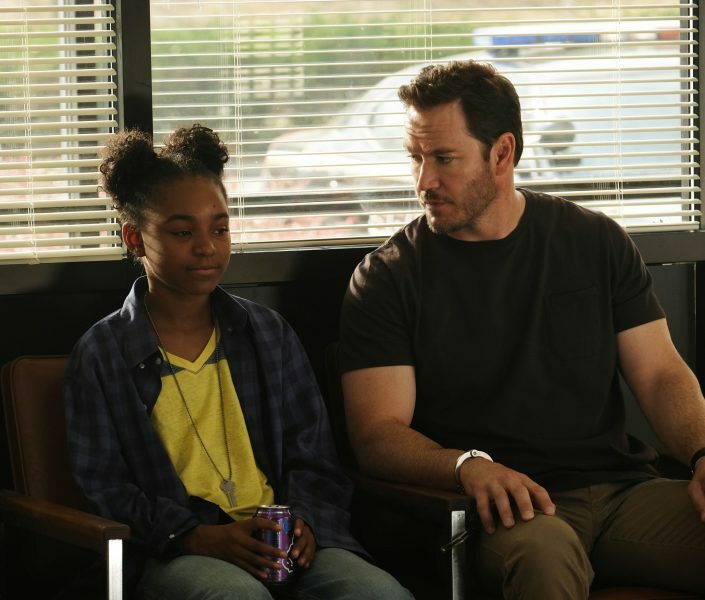 Through five episodes, the chemistry between Mark-Paul Gosselaar and Saniyya Sidney is fantastic, and may be the best father-daughter-type relationship on television. While Gosselaar has honed his craft a bit in the past few years on shows like NYPD Blue and Pitch, this is his best performance. Here he plays Agent Brad Wolgast, who was responsible for transporting most of the death row inamtes to the facility until he defied the order to retrieve “the girl,” Amy Bellafonte (Sidney). He’s trying to not just protect, but mentor Amy. Sidney, known for her work in the new Roots, Hidden Figures, and Fences, is equally strong and adds the warmth you’d expect while also turning into a “mini-agent” as she strives to pick out things to help the two of them escape while coping with new abilities from the virus that has been injected into her body. But seeing these two together try to “out think” both the government doctors and the vampire-like-creatures makes the show worth watching in itself. There are many antagonists in The Passage. There are government agents trying to keep Amy and Brad hostage, a shady director of the Department of Defense, and also the vampire-like creatures themselves. The vampires’ stories are deeply complex and for the most part compelling. By using their growing telepathic or telecommunicative powers, they get in the heads’ of those who work in the facility and interact with them, often weaving their existence into nightmares or even “waking” dreams with those who they wish to communicate with. This creates a fascinating layer to the show. Among the more interesting include Anthony Carter (McKinley Belcher III), a man who did not commit the crime for which he was condemned to die for, and Shauna Babcock (Brianne Howey), a woman who killed her mom and stepfather because of years of abuse. 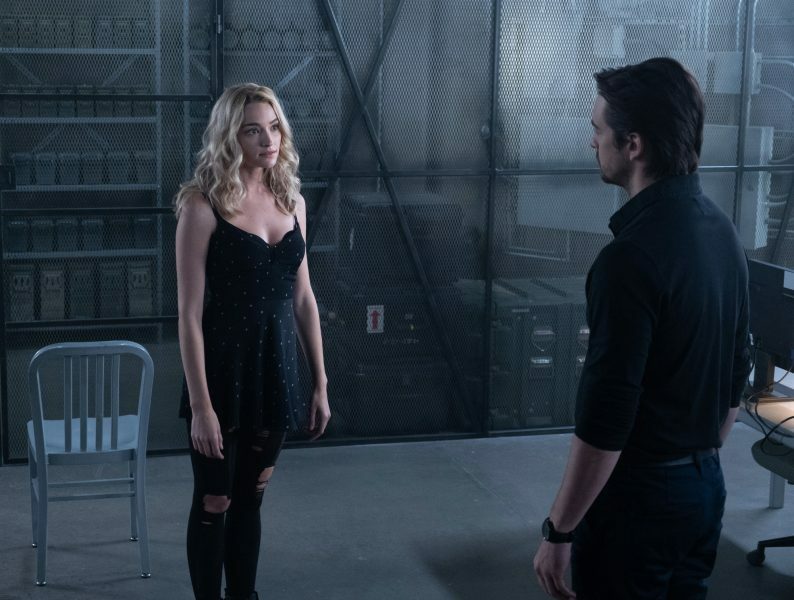 While both have eventually fallen victim to the government’s science experiment and are now among the “vampires,” Carter seems to want to resist the other vampires and do his own thing after developing a friendship with Amy before he became a vampire. Babcock’s ability to manipulate some of the workers at the facility seems to have a darker purpose and foretell a time where the vampires will soon be free. She is particularly effective at manipulating her captors, but is still struggling to figure out how to communicate with Amy and convince her to just “give in” to the vampire aspect of the “cure” running in her blood. The stage is set: everyone wants the child’s power. The scientists hope she’ll stay human and be a guinea pig to test their avian flu vaccine. The vampires hope she’ll turn into one of them. The agent just wants to break her out of the facility and protect her. span style="font-weight: 400;">Meanwhile most of the vampires serve--or reject--the master of ceremonies, Patient Zero, the original scientist-turned-most-powerful-vampire, Tim Fanning (Jamie McShane). He is in the dreams of everyone at the facility, and you get the sense he’s the master puppeteer, and the puppet show is going to be a very, very alarming event once he gets all his pawns in place for the performance. As The Passage has developed through the first five episodes, Fanning is the most interesting of the villains. His attempt to gain power through the other vampire-like creatures but also through thought manipulation of the facility’s workers makes him interesting. But the writers have wasted way too much time showing his pre-evil “scientist” days. Yes, we understand he used to be good. Continual flashbacks aren’t needed to humanize him. What else doesn’t work? Romance--or most of it. We don’t need to see the relationships of the scientists who are working on the project and the security forces protecting the facility, or the bizarre flashback love triangle between two scientists and a now wheelchair-confined spouse who is suffering from Alzheimer’s. But the ethical dilemmas, the government-as-bad-guy, and the vampires-as-badder-guy formula are compelling enough reasons to watch. 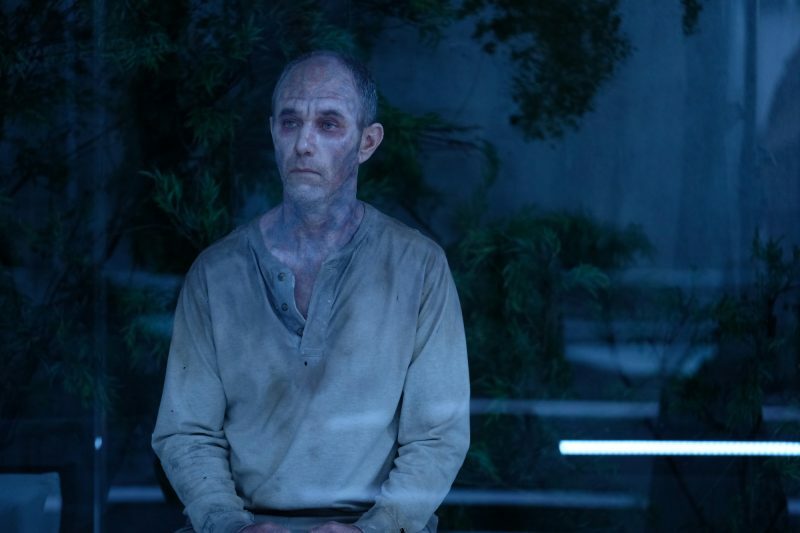 Like all complicated television shows, The Passage may find attracting new viewers difficult. This is too bad, because with a lot of heart from Gosselaar and Sidney, a bit of haunted, nuanced performances from Howey and McShane, and enough interesting moments, The Passage may prove to be the creepiest show on network television today. What happens when the inmates run the asylum is an interesting question. But it seems The Passage is suggesting that what happens when the inmates get out is going to be far more interesting. The Passage airs Mondays at 9 pm Eastern/8 pm Central on Fox. It is also available online at: https://www.fox.com/the-passage/ or on Hulu.